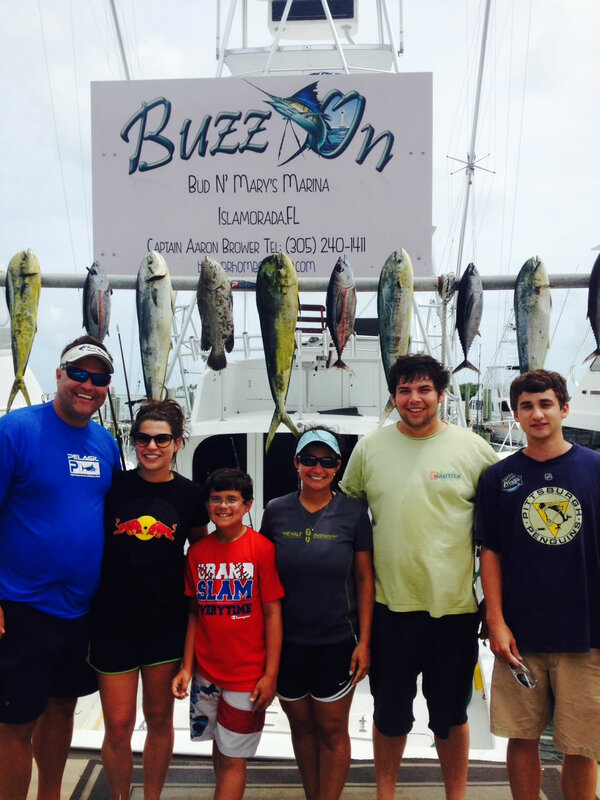 Buzz on is a premier fishing boat out of Bud n Marys Fishing Center Captain Aaron has been on the water all his life so you can ensure that his Islamorada Fishing Reports are true and accurate and that there will be no hidden tricks or gimmicks found here at Buzz On Fishing Charters. Captain Aaron Brower has been fishing the South Florida Waters all his life. Which will ensure that you get your moneys worth our of your Florida Keys Deep Sea Fishing. Islamorada Fishing Reports are typically up to date with pictures and information on Fishing in and around the Florida Keys.